From a troubleshooting standpoint, another conversation to have with the homeowner focuses on two major water-using devices that can cause problems: water softeners and garbage disposals. Over the past decade there has been a lot of discussion and research on whether water softeners have an impact on septic systems by changing soil structure in the drainfield, reducing infiltration capacity and leading to early failure. Early research done in the late ‘70s and early ‘80s indicated there was no significant effect. More recent research has indicated that there may be problems with soils already high in sodium content and in low exchange capacity soils. For the 30-some years I was with the University of Minnesota, we recommended to our installers they route the softener backwash to an area other than the drainfield. The other area could be a separate trench just for the backwash or to the surface away from the residence, not near the drainfield and not onto a neighbor's property. One other note: the solution is not to tell the homeowner not to have a softener, but instead to get them to change the location of the discharge. They have a softener due to problems with their water. It takes more water and soap to get things clean if you have hard water. So, if you take out the softener, their water use will likely not decrease, which is the objective. 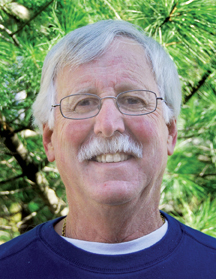 Jim Anderson is connected with the University of Minnesota onsite wastewater treatment program and is an emeritus professor in the university’s Department of Soil, Water and Climate. Send him questions about septic system maintenance and operation by sending an email to kim.peterson@colepublishing.com. Does Additional Pretreatment Help Drainfield Restoration?